Benjamin Ramos is the 34th victim among legal professionals since President Rodrigo Duterte came to power in 2016. On September 29, a lawyer, who handled drug-related cases in the northern city of Laoag, was shot twice in the back but survived. Five days earlier, a female lawyer was killed by gunmen in the southern city of Tagum near Duterte’s hometown of Davao City. 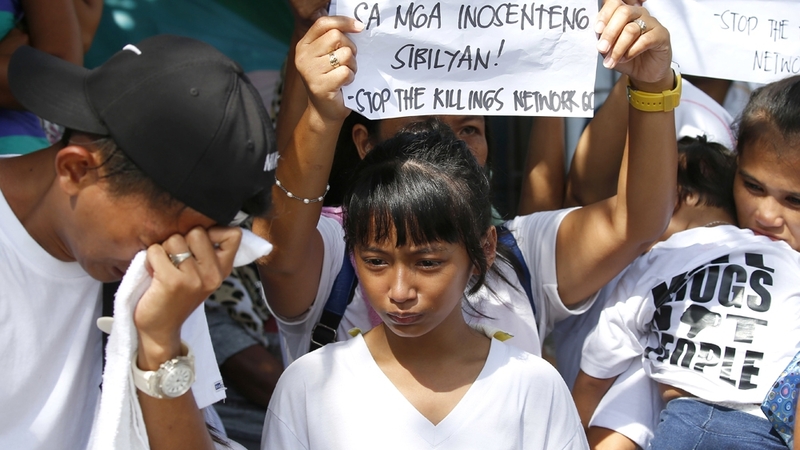 Critics said that Duterte’s anti-drug war and harsh rhetoric created an atmosphere, where violence and impunity are tolerated, if not encouraged. As of July 2018, at least 12 journalists have been reported killed since Duterte became president, according to the National Union of Journalists in the Philippines. Since December 2017, three Catholic priests have also been killed. At least 11 mayors and six vice mayors were killed since June 2016. In February, the International Criminal Court (ICC) said it has taken steps to investigate the killings, a decision that has angered Duterte. In a statement to Al Jazeera, Human Rights Watch (HRW) said Ramos’ “murder” is an “indictment of the impunity that has worsened” under Duterte. “It is a blow to the human-rights movement in the country,” Carlos H Conde, HRW Asia Division researcher, told Al Jazeera. In a separate statement, the lawyers’ group, NUPL, praised Ramos for taking on cases involving farmers, environmentalists and other victims of human rights abuses. “These beastly attacks by treacherous cowards cannot go on,” the statement said, noting that before Ramos’ death, police have “maliciously and irresponsibly tagged” him as someone involved in the left-wing armed movement. NUPL senior official Deinla noted that during previous administrations deadly attacks against lawyers were also reported. But she noted the “alarming” number of deaths under Duterte’s watch. Ramos had recently assisted family members of nine sugarcane farmers, who were shot dead by gunmen while resting inside a vast private estate in the city of Sagay, Negros Occidental. Deinla said families of the dead farmers believe Ramos’ death was linked to the massacre. She said that another lawyer of the group is being harassed by police for assisting a possible child witness to the massacre. Meanwhile, House of Representatives opposition member Carlos Zarate blamed the Duterte administration for “neglect” in going after the killers of the sugarcane farmers and Ramos. “The human rights situation in the country now has gone from bad to worse,” he said.